Vegan virgins will enjoy the straight-forward approach of Oh She Glows. The author even provides readers with a chapter titled “My Natural Foods Pantry,” so if they’re new to vegan cooking, they can stock up on the necessary staples. Adventurous cooks will appreciate the variety of recipes and a twist on some Oh She Glows original creations including The Green Monster! 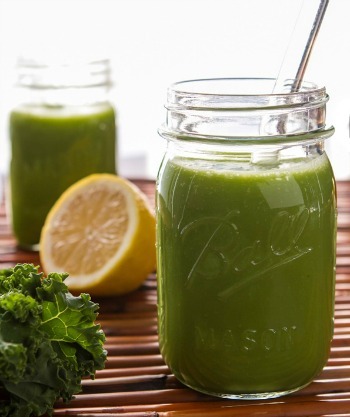 Originally named for its peculiar hue and creative ingredients, The Green Monster is a smoothie that Angela swears by to boost energy and improve skin tone. Each recipe contains an estimated prep and cook time so you can easily choose the best meal that fits your schedule. If you don’t have time for a big meal, page 173 will show you how to make a Creamy Avocado Pasta in about 15 minutes. When you’ve got at least 30 minutes to spare for dinner, page 185 instructs you on how to make Portobello “Steak” Fajitas complete with mushrooms and a special cashew cream. The Oh She Glows Cookbook is easy to read and filled with bright, mouth-watering photos. Looking through the book, it’s hard to believe the author could barely cook when she started her blog. 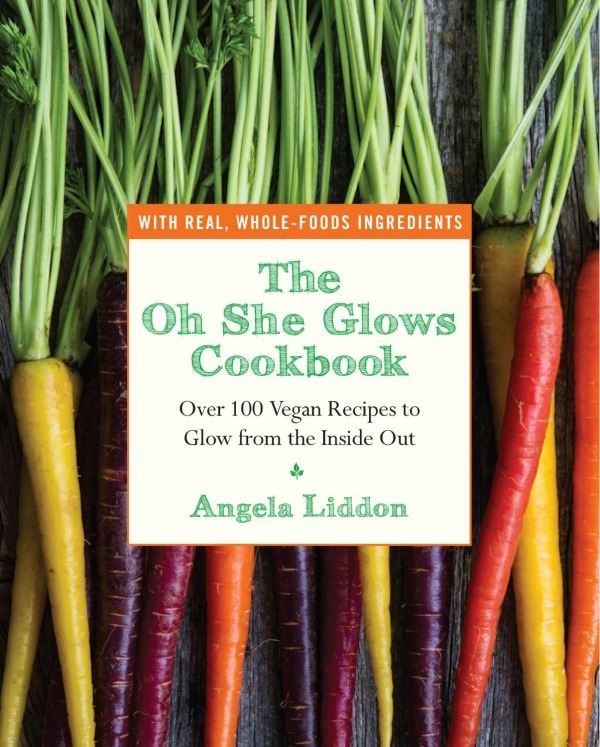 The book is an extension of her site and her passion for eating nutritious plant-based foods.